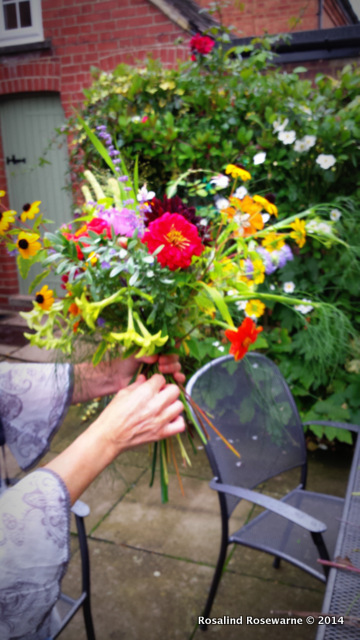 On paper, having grown enough flowers to fill several small shops we now need to know what to do with them. This for me has always been one of the hardest jobs, I love flowers and the house is full of bunches through spring and summer but artfully arranging them?, well that’s quite another thing. The buckets of flower that come home are rarely ‘arranged’ , more maneuvered into position and by the time I’m finished there are so many blooms in the vase they cannot move making it look ‘arranged’. 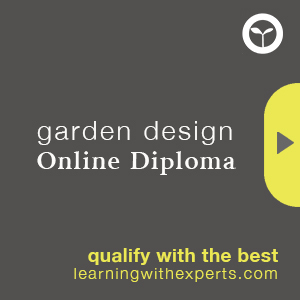 This final week on the Cutting Garden Course was certainly my challenge. Half way through the lecture I realise that what I really need to do is a hands on course because while all the information is pertinent and well explained and of course written down, I like many others learn most quickly by ‘doing’. Learning the basics about essential equipment, cut flower conditioning, how and where on the plant to cut and not least WHEN to cut, all useful information. I had no idea I needed to plunge my peonies underwater for an hour to help them last! Checking out Pinterest for ideas and inspirations was rather fun and really taking time to LOOK at bouquets, how they’re formed what they contain made me think about how I can utilise many more of the blooms I get than I currently do. Finding inspiring florists and flower artisans is a must. I have buckets, I have snips, a couple of pinholders (and floral foam!) and I am slowing regathering an array of suitable vasey things, having clutter cleared a slew of them during the last house move now I just need it all to start a growing so I can put the rest of it to the test.